Fish oil. That is the secret of my workmate who appears younger than I am but is actually approaching 40. Let truth be told: health is wealth. There is nothing more important than our well-being. You may have everything you may want in life, but being healthy is the most important condition to enjoy life, without limitation or fear. My workmate, who introduced me to fish oil, is very active in sports and maintains his health by taking food supplements. He knows that being physically active is a precious asset in life. ATC Healthcare believes in the same principle- health is the greatest possession in life. Being healthy requires more than just working out and eating the right food. ATC Fish Oil contains Omega-3 Fatty Acids, Eicosapentaenioc Acid (EPA), and Docosahexaenoic Acid (DHA) that aids in lowering blood pressure, triglycerides, and LDL cholesterol levels. ATC Fish Oil is also known to have the capabilities in protecting the body from heart attack and stroke. 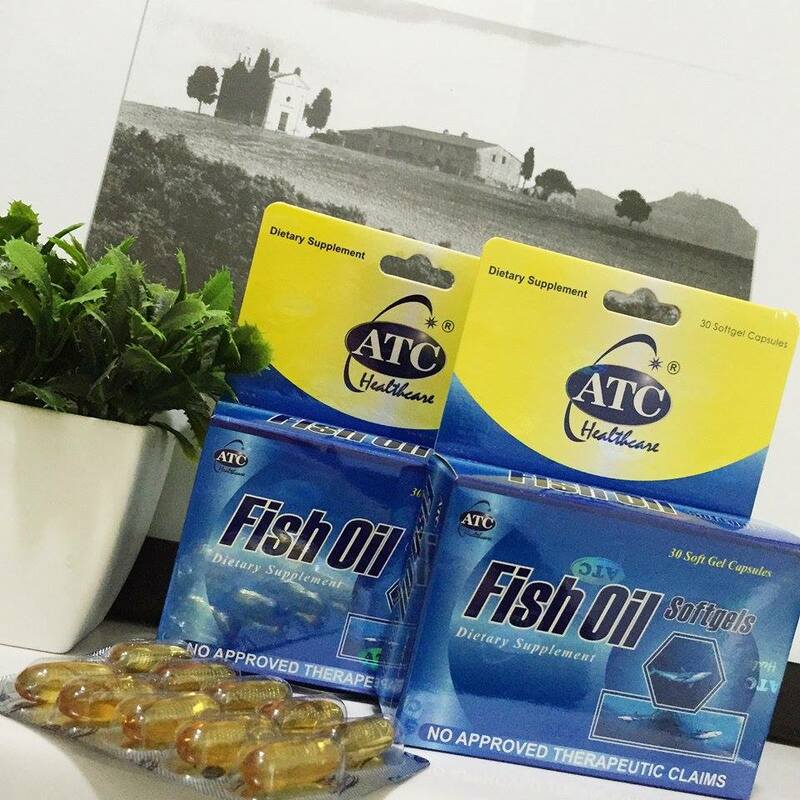 ATC Fish Oil is recommended to be taken one capsule with warm water before every meal. ATC Fish Oil is available at P6.00 per capsule in all leading drugstores nationwide. Protect your heart from the stresses of daily living, protect yourself with ATC Fish Oil. To get more tips about heart health, like ATC Fish Oil on Facebook – www.fb.com/ATCFishOilSoftgel.